Channeling ethereal grace but designed for modern romance, the Maggie Sottero Collection is inspired by today's classic bride with a Bohemian vibe. These romantic gowns feature shimmering embellishments and lightweight fabrics in a variety of captivating designs, all with the hallmark Maggie Sottero fit. David Tutera is a leading wedding and entertaining expert known for transforming the ordinary into the extraordinary. David partnered with esteemed designer Martin Thornburg to create the "David Tutera Wedding Collection for Mon Cheri" . These breath-taking gowns are styled with high quality fabrics, hand-beaded Swarovski crystals, and impeccable fit at an affordable price. Finishing touches include his exquisite "Embellish" jewelry collection and "Something Blue" shoes, which we are excited to carry at The Bride's Shoppe. Read more about David on our special DT page! The newest addition to Maggie Sottero Designs, Rebecca Ingram offers timeless elegance and superior quality to the value-conscious bride. The inaugural Olivia collection features flattering silhouettes, understated embellishments, and flirty illusion details in an array of charming colorways...all for around $1000 or less! These are the words of the internationally renowned bridal designer, Madeline Gardner. Her luscious wedding dresses have turned heads and dropped jaws at thousands of weddings throughout the world. To the lucky brides who get to wear these gorgeous works of art, Madeline Gardner is much more than a magician...she's a fairy godmother making dreams come true. 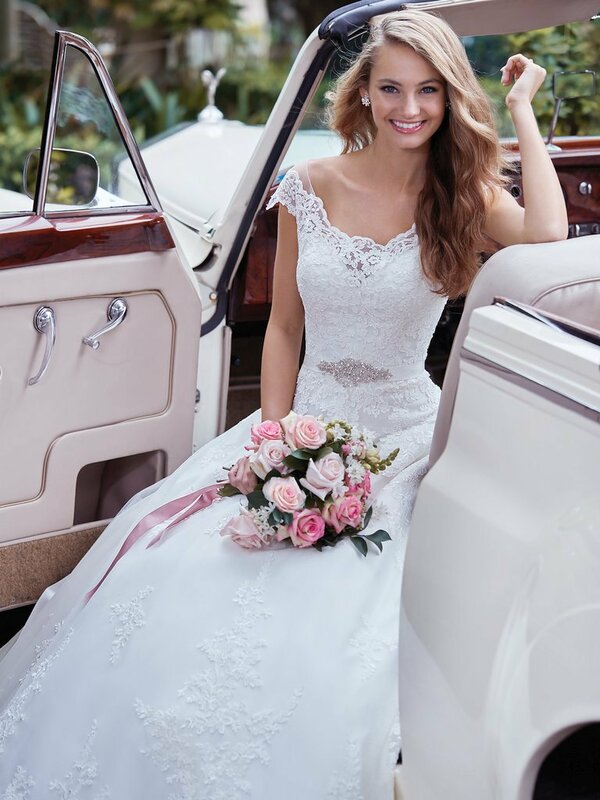 Multiple Award-Winner of the DEBI "Bridal Collection of the Year", designer Sophia Tolli creates exquisite wedding dresses with couture draping and corset backs that provide an impeccable fit. Sophia adds, "My collections have two distinct feelings: soft romanticism and traditional bridal drama. My signature style will always be gowns with an exceptional cut and fit." Featuring smaller trains (or none!) and simpler designs, the Destination Collection appeals to the bride who dreams of being married somewhere special without all the fuss... from Vegas to Hawaii, London to New York, a vintage barn or simply her own back yard! The Allure Bridal Collection is all about the details... luxurious laces, floral appliques, dramatic backs and perfect draping. Every gown features gorgeous elements to set it apart and make the bride shine! Whether your style is classic and traditional or bold and dramatic, it all starts with how your gown makes you feel. And nothing else feels like an Allure. Wilderly gowns are ideal for brides who are not afraid of making their own traditions and showing their own special style. 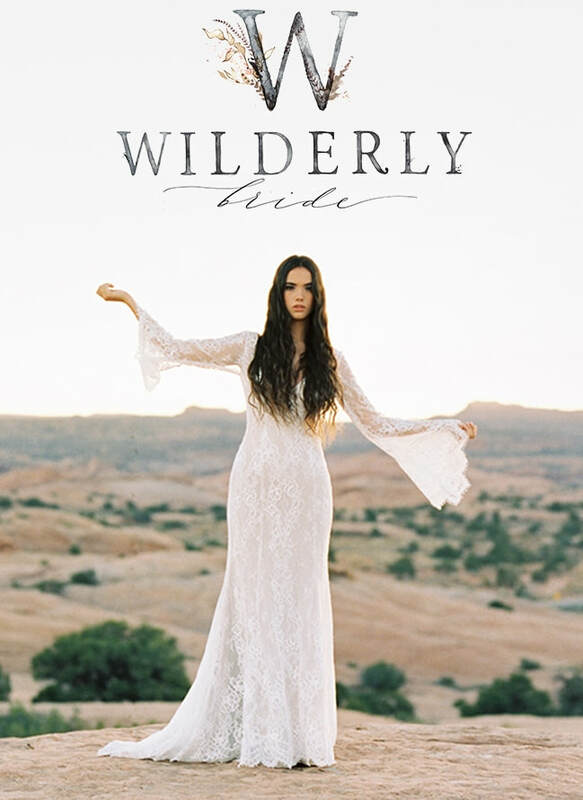 If you love vintage romance with a Bohemian vibe, you'll love being a Wilderly Bride! The Bride's Shoppe has a great selection of bridal gowns that are designed specifically for the curvy bride, available in women's sizes 16W to 32W. Each gown reveals a personal touch of embroidery, lace or other details designed to make your wedding dress a perfect match for your style... and celebrate your curves! Who says you have to wear a dress? For the fashionista, we carry beautiful suits by Little Black tux, made specifically for women. We also have modern jumpsuits, perfect for a destination or garden wedding. Still too feminine and frou-frou for you? Check out our tuxedo department which has styles that work great for men as well as women. What's not to love about a fabulous suit?